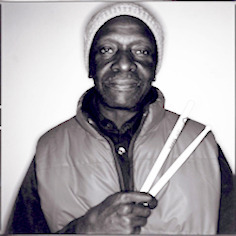 Rogall was part of the Allenko Brotherhood Ensemble of the African drummer Tony Allen, who is generally known as the father of the Afro Beat. He gained fame as the main drummer of Fela Kuti in the 70s. In 2000, they released the track “RogAllen”.